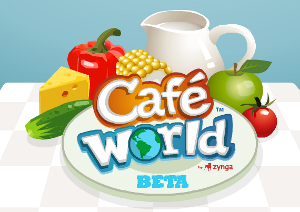 Cafe World is the latest and greatest Facebook game from the creators at Zynga. 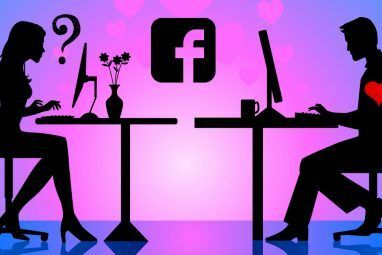 If you haven’t heard of Zynga, they’re the ones responsible for Farmville, Mafia Wars, and over a dozen other games that have millions of users and can be found on Facebook and other social sites. We’ve given you tips and cheats for Mafia Wars Mafia Wars On Facebook - Tips & Cheats Mafia Wars On Facebook - Tips & Cheats Read More and 7 tricks to master Farmville 7 Tips and Tricks To Be A Master At Farmville On Facebook 7 Tips and Tricks To Be A Master At Farmville On Facebook Read More in the recent past. Well I’ve scoured the web once again in search of tips, tricks, hacks, and cheats for Cafe World. Here are the Cafe World cheats I’ve found. [Note]: A lot of the hacks I found require a program called Cheat Engine 5.5 to utilize. Since Zynga does not stand for this (I can tell by all the copyright claims I’ve seen) I will not be covering any of those. I’ll stick to the clean tips/tricks that won’t get your account banned, if you don’t mind. When you first start out in Cafe World, you only have 3 stoves and 3 counters to cook and serve with. This means that if you want to serve a lot of people, you should cook something that serves a lot of people. The Super Chunk Fruit Salad, for example, only takes 15 minutes to prepare, yet it serves 100 people. Remember, dishes that take longer to cook also get you more cash. Once you start cooking for several, dozens of people are going to flock to your restaurant. If you’re just beginning the Cafe World game, you are going to need to get some more tables and chairs in there as soon as possible. After all, you don’t want people leaving your restaurant in disgust because you couldn’t feed them in time. Once you have purchased more tables and chairs, you need to place them strategically. The two best ways I’ve seen are in a U-shape and in rows with the counters blocking your cooks/servers in. Trapping your servers causes the game to automatically serve everyone who is sitting down instantly. Also, with this configuration your tables are automatically cleared, saving you time. You won’t need to hire any extra help either, saving you money as well. You want to strategically place multiple doors around your restaurant so as not to create a mess when people come in. They should be able to get to an empty seat, eat, and leave without a problem. When you aren’t playing Cafe World, another cool Cafe World cheat is to remove the doors altogether. This way, no one can get in your restaurant while you’re gone, and you can keep your satisfaction rating from dropping. To remove the doors, click Customize and drag them off the screen. They will then disappear. You can place them again when you are ready to re-open. [Tip]: If you can’t remove the door, try blocking it in some way. When you stop playing the game and go to bed for the night, put on a dish that takes 12 hours to cook. This way, when you return to the game you’ll be ready to go with fresh food, allowing you to get things accomplished even in your sleep. Once you’ve gained enough money to afford a few stoves, start cooking foods that take a short amount of time to prepare, say 5 minutes. If you need experience points fast, this is a quick and easy way to accomplish that. 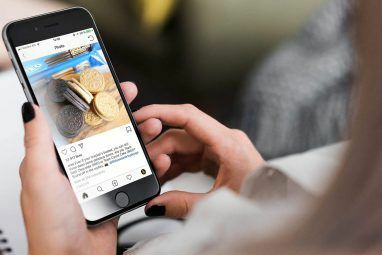 A quick way to earn money is by visiting your friends’ restaurants. If you’re waiting for your food to be done, go visit all of your friends’ cafes every day and the coins will add up. Tired of paying 15 coins every time you clean a stove? Instead of clicking the stove to clean it, a neat little Cafe World cheats is dragging it to your inventory. When you place the stove back in your cafe, it should be clean already. I would like to note that some of these glitches are likely to be fixed sometime in the near future by Zynga, so if something I’ve listed here doesn’t work for you that could be the reason. For the most part, however, these tactics should be a good starting point for you to run a successful cafe. As always, if you have any tips, tricks, or suggestions you would like to mention regarding Cafe World on Facebook, I’d love to hear your ideas below. Check out the video IT WORKS! See that rating in the upper corner? it maxes out at 105, and it controls the number of people let in at a time. More People = more food served = more money. if you arrange your tables right it will always be at 105. The best way to arrange stoves is so the chef can't get out, then arragne the tables with servers in the middle. works the best, your raiting will always be at 105. Also "Tostada de Carne Asada" is the best meal to make I make it in the morning then at night, and it never runs out. right now I have 2,070,000 meals of it on the table, that will last for over 2 months if I never make another meal again. If you want to level up faster, and youÂ´ve got some extra money, you should cook dishes with high points rate and throw them away instantly without serving. I know it sounds crazy, but I already have 11 million coins, and itÂ´s worthless to save them for decorations. Best dishes for it (at least by now) are Grand Tandoori Chicken, Chinese Candy Box and Mystical Pizza. Remember it doesnÂ´t matter how many points you get when you serve them, though you wonÂ´t do it. Grand Tandoori Chicken gives you more points but if you are throwing it away, Chinese Candy Box suits you best (99 points total only for cooking). Making points is the only thing that levels you up, so if you have enough money you can do it even with your Cafe closed. I went from level 62 to 67 without opening it! Good luck everybody! If you want to level up faster, and you´ve got some extra money, you should cook dishes with high points rate and throw them away instantly without serving. I know it sounds crazy, but I already have 11 million coins, and it´s worthless to save them for decorations. Best dishes for it (at least by now) are Grand Tandoori Chicken, Chinese Candy Box and Mystical Pizza. Remember it doesn´t matter how many points you get when you serve them, though you won´t do it. Grand Tandoori Chicken gives you more points but if you are throwing it away, Chinese Candy Box suits you best (99 points total only for cooking). Making points is the only thing that levels you up, so if you have enough money you can do it even with your Cafe closed. I went from level 62 to 67 without opening it! Good luck everybody! Wow that is some excellent work Connie. Thank you for sharing your strategy!